We had six charities were nominated and paid club members at the AGM voted ‘Haemophilia Society’ as the club charity of the year. Marathon season is upon us and Redway Runners have been participating in many events around the globe. In recent weeks Paris, Rotterdam, Manchester, Brighton, Boston (USA) and London have seen strong Redway Runner performances. Most impressively in the last month Jennifer Sangster has recorded a marathon personal best in Manchester, Brighton and then London (3.07.49), coming 182nd overall lady. Kassia Gardner, Julie Martin and Geoff New took part in both the Boston (USA) and London marathons in a 6 day period with Julie and Kassia both getting PB times in Boston and London. Maurice O’Connell also took part in Boston. 42 Redway Runners ran the London Marathon. All performed well with special mention to Jamie Farmer who came an amazing 114th overall in 2.32.58. Finally Darren Klein became the first Redway Runner “Zero-to-Hero” programme graduate to complete the London Marathon. 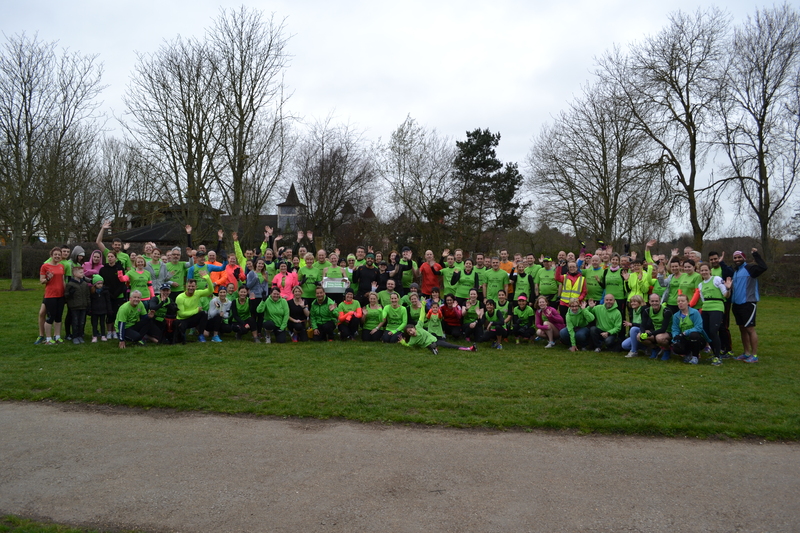 The programme has taken 17 runners from beginner to marathon running in less than a year. The other members will be graduating at the MK Marathon on 2 May. Good luck to them and all other Redway Runners at our home event. With the store you can now pay by card or PayPal, the order goes direct to the shop who will order the kit and arrange printing so delivery should be faster. When kit is ready then the shop will mail you to arrange collection from the shop in Newport Pagnell. We have had to increase prices slightly to cover the payment fees. He finished in 214th place – well into the upper quartile and just behind the elites and way beyond his expectations. He coped with the extreme conditions better than much fitter competitors, particularly on the 52 mile double marathon. On the final marathon stage, with the 200 elite athletes having a separate start an hour later, he emerged from the first set of sand dunes at the 3km point with only one runner who had followed him. The rest of the field started appearing at various points in the dunes behind, he said ‘It was a surreal experience having the rest of the MdS field following me for a few minutes. Even more bizarre was a few hours later as the elite athletes caught up. On a narrow section I heard a voice saying ” excusez moi”. I moved to one side to let past El Mouaziz (two times winner of the London marathon and runner up in this years MdS). Great piece of coverage on the club in the OneMK newspaper (6 April 2016), with the story of our 1,000th member. When Izi Hicks joined Redway Runners recently a major milestone was reached – not so much that Izi joined the club, but she is the 1,000th current member of Redway Runners. A little over five years ago a few running friends got together and decided to form a running club. 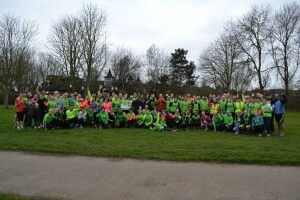 They came up with the name Redway Runners and decided on the now iconic green as club colours. Initially, they needed to attract 10 people to join to make it work with a best case scenario of attracting 25 members to offer some type of longevity. So to reach 1,000 members surpasses the founder’s wildest dreams. The journey to get to this milestone has been absolutely amazing. From day one the club has kept to four principles of Fun, Social, Value for Money and to Benefit Members. The club offer runs and activities to suit just about every sort of runner. Hundreds of beginners have graduated through the regular starter programmes. Running sessions are available throughout the day and nearly every evening of the week. Track sessions and cross country also feature heavily. In May 2016 the inaugural Redway Runner “Zero to Hero” programme will result in nearly 20 Redway Runners taking part in their first marathon (Milton Keynes on 2 May). These dedicated individuals have been mentored and supported by the club for nearly a year. Redway Runners also proudly support a “Charity of the Year” (currently “Bravery Boxes”) who receive significant support from the club. The club could not have got to where it is now without the many people who have given up time for free to make the club successful. Thank you to them. 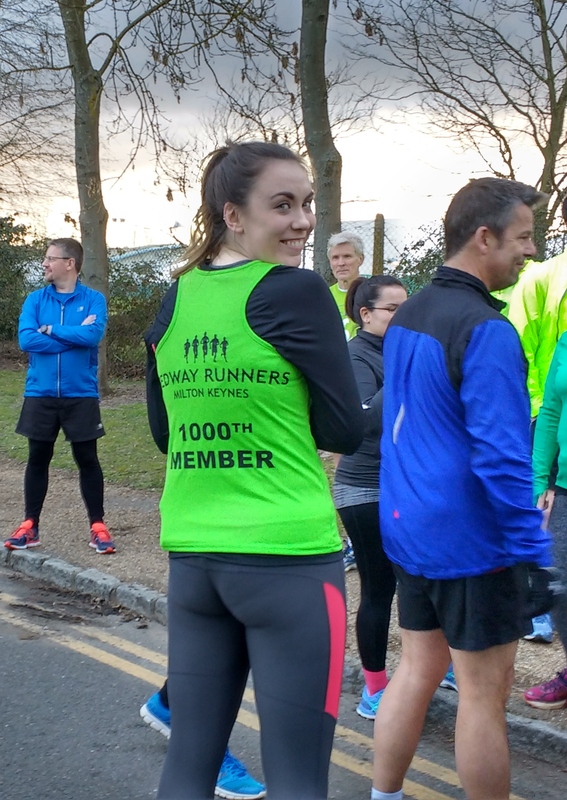 Redway Runners will continue to develop in the future and will hopefully attract many more new members who can also benefit from the activities on offer. As is often said by members, “joining Redway Runners is the best £5 I have ever spent”!